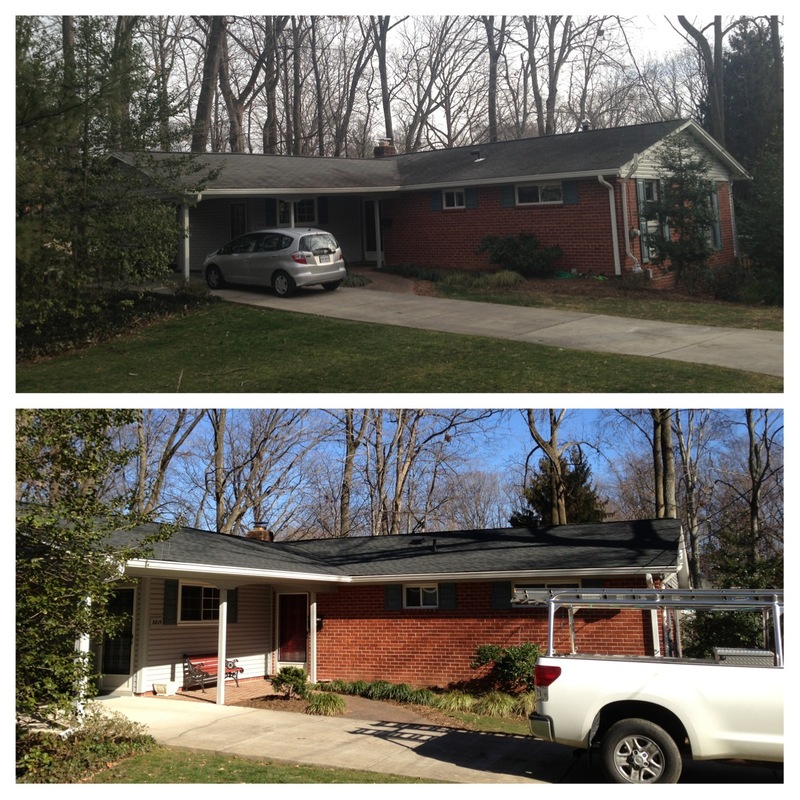 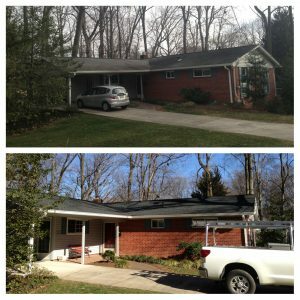 Just a few before and after pictures of the shingle roof replacement in northern Virgina we’ve done lately. 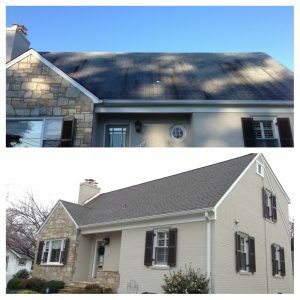 Replacing the roof can really add curb appeal if done well; I think the houses below show that. 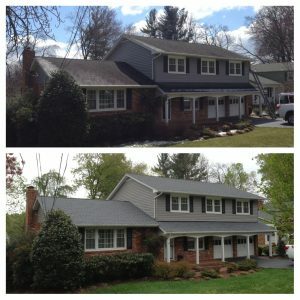 The shingle style I’ve show below are all from the GAF Timberline series. 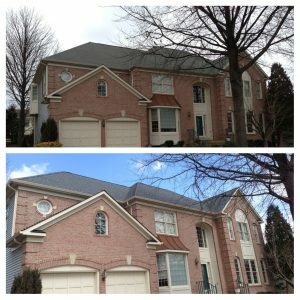 These shingle all carry a lifetime warranty and have become the new standard when it comes to residential shingle roof replacement in Northern Virginia. 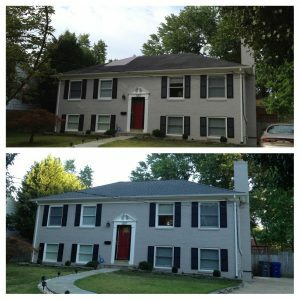 I included pictures of the most popular house designs, hopefully you see a house that looks like yours. 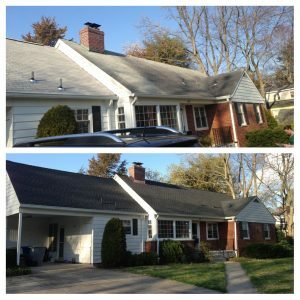 If you’d like to talk to me about your roof I can be reached at (703) 457-6560 or just fill out the form to the right and I’ll be right with you; ask for Tom. This is a GAF Timberline Barkwood shingle roof in Arlington, VA; you can see the new copper flashings at the walls and chimneys. This roof is GAF Timberline in Oyster Gray. We replaced the roof and gutters on this house in Fairfax Station, VA.
Another Timberline Oyster Gray shingle roof; this roof replacement is in Annandale, VA. 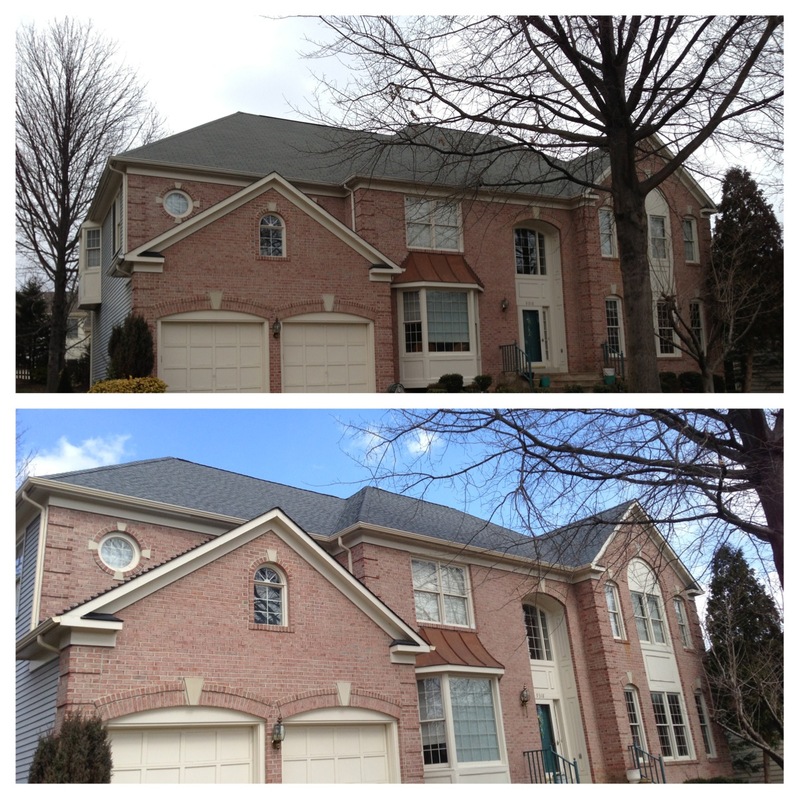 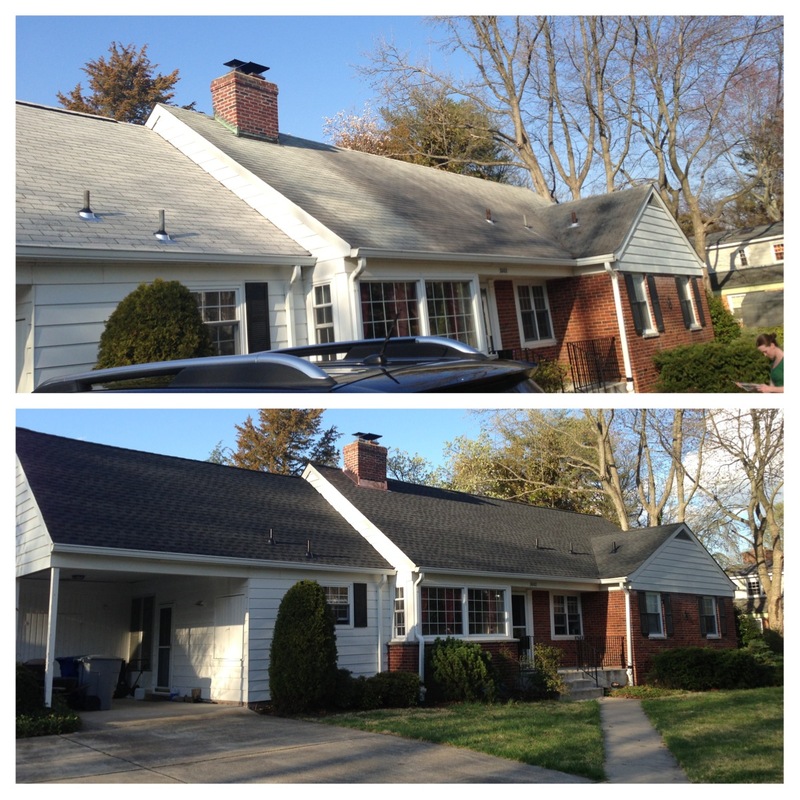 This shingle roof replacement was done in Alexandria, VA The roof we installed was GAF Timberline in Charcoal. 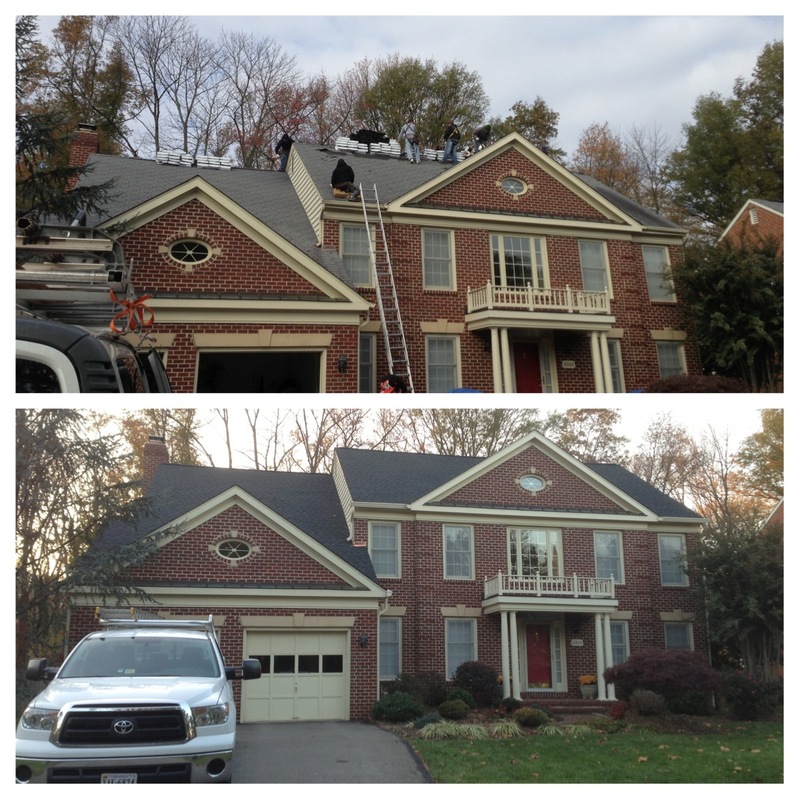 This was just some of the roof replacement we did in Northern Virginia in the past few months; if you don’t see your house here please don’t be offended- chances are the picture I took of your house was blurry. 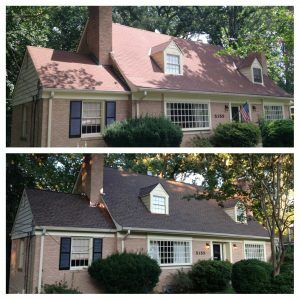 If you’d like an estimate on your roof just fill out the form to the right and I’ll be right with you or call (703) 457-6560.